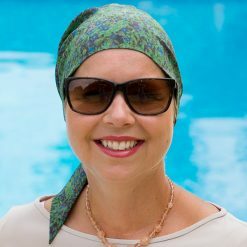 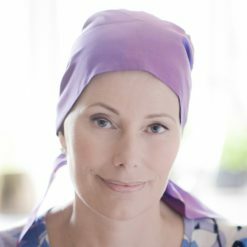 This is the simplest bandana style perfect for any chemo or alopecia patient with not much time to spare – it can be put on and tied in seconds. 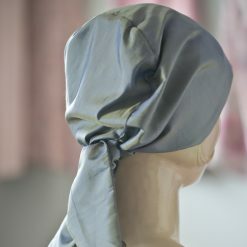 The longer length tie at back holds it securely in place at the nape of the neck. 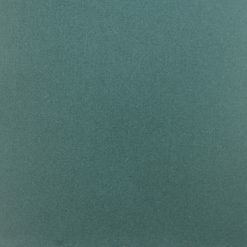 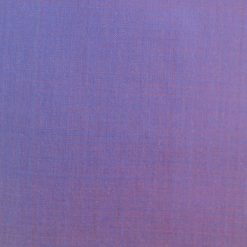 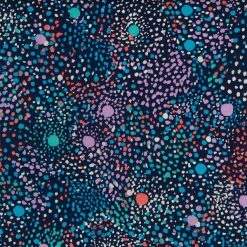 This style is best suited to silk fabrics.